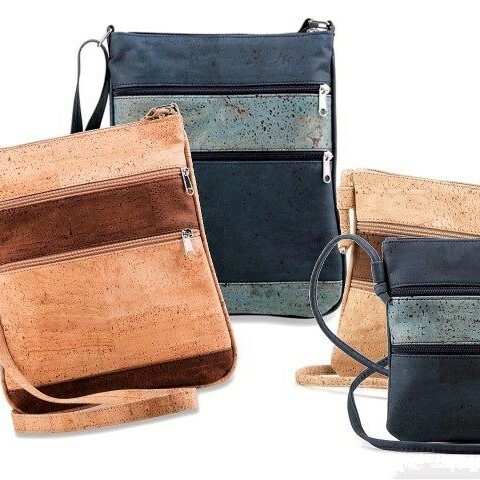 Corque creates beautiful bags and accessories from cork textiles and leather. Cork oaks produce oxygen and absorbs carbon dioxide, making this material very eco-friendly. It is a quite new fabric, but it feels smooth and soft. Also, the fabric is really lightweight and is water resistant as well. The fabric corque is 100% natural and recyclable, without producing any toxic waste. Because of its many advantages, corque is a lovable fabric for bags and accessories!